I have been in the field of Obstetrics & Gynaecology for past 8 years. I have graduated from Dr. D.Y. Patil Medical College, Pune which is a well equipped and a renowned Medical College. 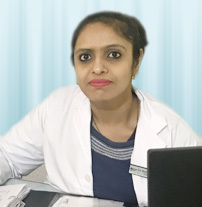 I have had a very good obstetrical (labour management, normal and instrumental deliveries) and gynaecological exposure, good amount of surgical hands on in Caesarean Sections, Hysterectomies (abdominal & vaginal), Myomectomies, Cystectomies and other gynaecological cases. I have worked in Apollo Main hospitals, Chennai as a Registrar and got a great chance to brush up my surgical skills in gynaecological procedures. I have assisted all kind of difficult laparotomies, open and vaginal hysterectomies and myomectomies. I have got a nice exposure of laparoscopic surgeries such as laparoscopic cystectomies, LAVH, laparoscopy in ectopic pregnancy management and operative hysteroscopies. At Saxena Multispeciality hospital, Sonepat I got exposed to total laparoscopic surgeries and urogynaecological surgeries i.e. TVT. At Sant Paramanand Hospital I got a good amount of hands on in vaginal hysterectomies, diagnostic hysterolaparoscopies, operative hysteroscopies, LAVH. At Sanjay Gandhi Memorial Hospital, Delhi, I had a very nice Obstetrical exposure such as difficult labour management, instrumental deliveries and difficult Caesarean Sections. I worked at Beams Hospital, Mumbai with Dr. Rakesh Sinha (pioneer in gynaec laparoscopy) who is practicing Gynaec laparoscopy for past 25 years and has a Guinness Book of World Record for removing 4.1 kg uterus laparoscopically. I worked as a Research Fellow and learnt all kind of laparoscopic and hysteroscopic procedures. These include; TLH, Lap Myomectomies, SILS, Burch Colposuspensions, Ovarian cystectomies, Ectopic pregnancies, Presacral neurectomies, Hysteroscopic Myomectomies, Septal resections, TCRE, etc. At RG Stone Hospital, I performed independent gynecological laparoscopic surgeries ie Total laparoscopic hysterectomy, laparoscopic myomectomy, laparoscopic cyst excision etc.